Pictured, Andrew Fabila and Paige Harkings. Image via Facebook. 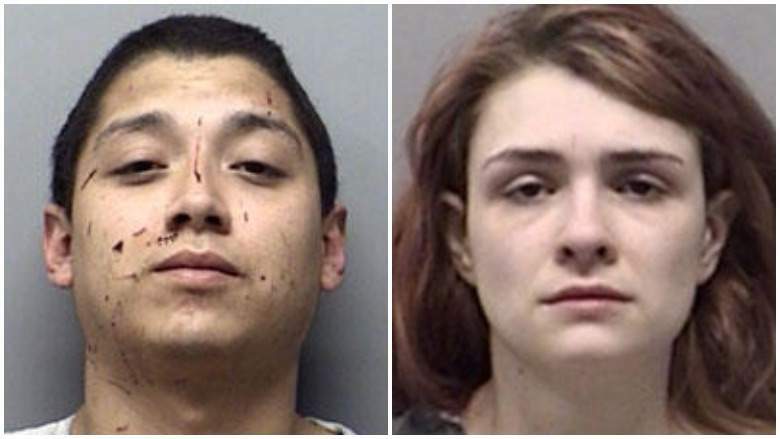 Andrew Fabila and Paige Harkings: Texas parents arrested in worse instances of child abuse ever seen after cops respond to call of domestic disturbance. 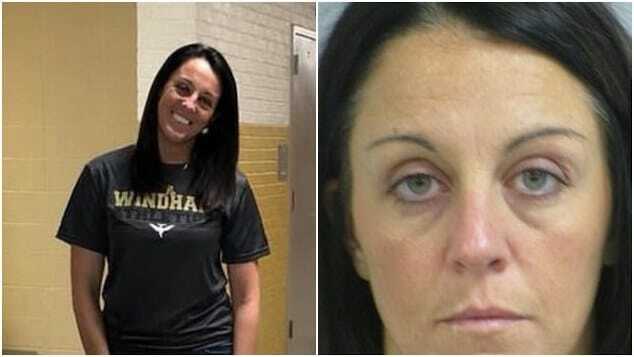 A Texas authorities have arrested two parents in the what has been described as one of the most egregious instances of child abuse ever witnessed after responding to a call of domestic disturbance. 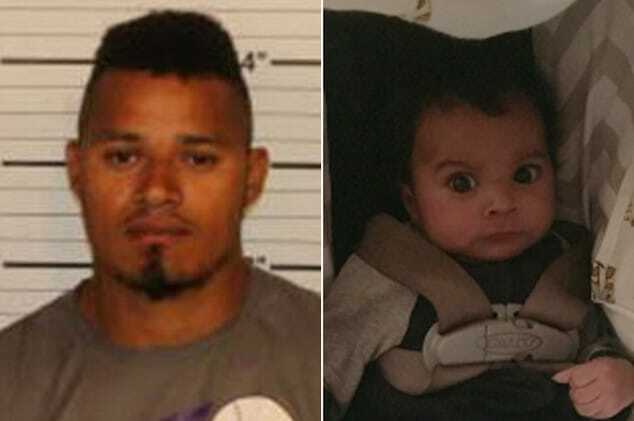 In a released statement, Wise County Sheriff Lane Akin told of authorities arresting Andrew Joseph Fabila and Paige Isabow Harkings, both 24, after finding two ‘malnourished’ infant children housed in a dog cage with two other children ‘smeared’ in feces and urine at a barn at their Decatur home. Akin described the barn as ‘crudely fashioned’ into living quarters, reported News 5 , adding that all the children were hungry and thirsty around 7:20 a.m. when deputies responding to a domestic disturbance at a property near Rhome, about 20 miles north of Fort Worth. ‘There was plenty of food inside the barn, but the refrigerator and the cabinets had been locked so the kids could not get in to get food,’ Akin said. ‘There were three boys, ages 5, 3 and 1, and a 4-year-old girl’. Andrew Fabila and Paige Harkings, upon their arrest were each charged with four counts of criminal child endangerment, Wise County jail records showed. Harkings also was charged with aggravated assault. Akin told The Dallas Morning News the scene at the property was the worst case of child abuse he’d ever seen in his 44 years in law enforcement. ‘I’ve not worked one where children are locked inside a dog kennel, and I find that absolutely disgusting,’ he said. Andrew Fabila and Paige Harkings. Police bookings. 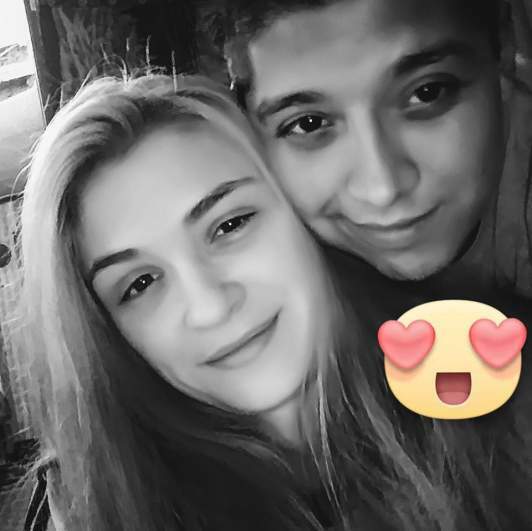 Andrew Fabila and Paige Harkings: Kept food locked out of reach of ‘malnourished’ children. A regard of the property revealed evidence that food had been kept out of the reach of the children, who were described as wanting food and being thirsty. A refrigerator in the residence was found with three straps on it that served as locking devices to keep people out. ‘They looked pretty well unkempt. Some of them looked small for what we believe to be their ages. But they will be evaluated, and their condition will be figured out for certain,’ said Craig Johnson, chief deputy for the Wise County Sheriff’s Department. 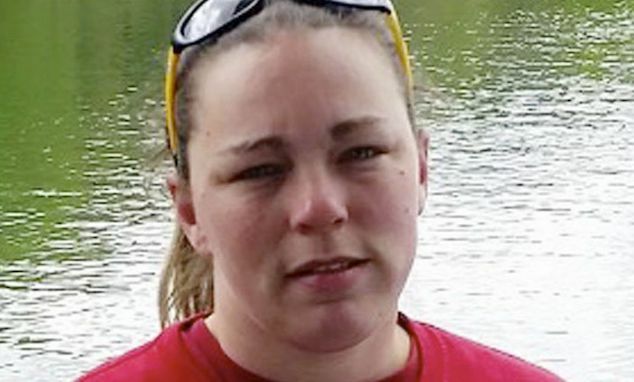 The couple’s arrest followed deputies speaking with the parents when they heard children’s voices coming from the barn, Akin said. The woman is the mother of all four children and the man is father to one of them, he told the newspaper. Pictured, Andrew Fabila and Paige Harkings children. Isabow Harkins Facebook post: ‘I love my family’. 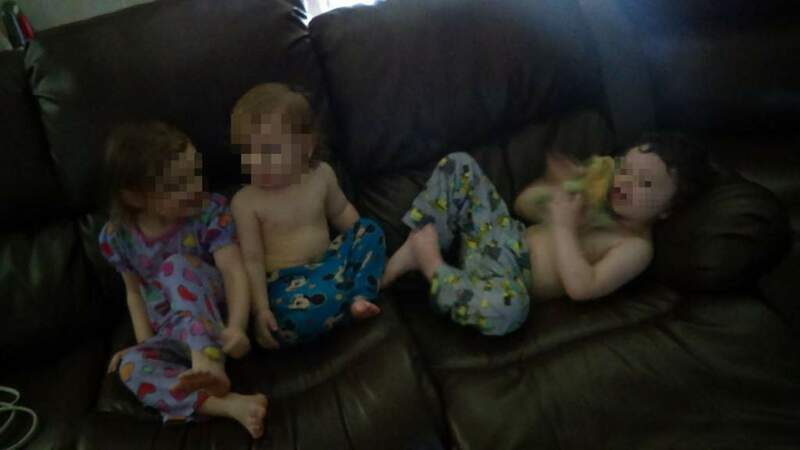 A regard of Harkings Facebook page (who goes by the name of same Isabow Harkins) revealed the mother having posted numerous photos of the children and Fabila. 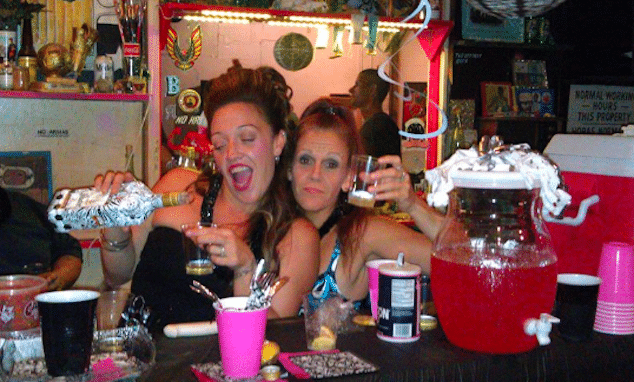 ‘I love my family,’ said a filter on one Facebook picture she posted. 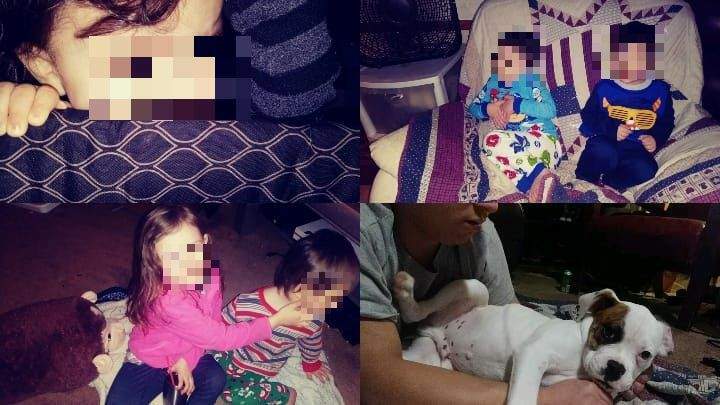 A collage on Paige’s Facebook page showed multiple children and a dog. Not immediately understood is how or why the agency previously failed to remove the children from the couple. 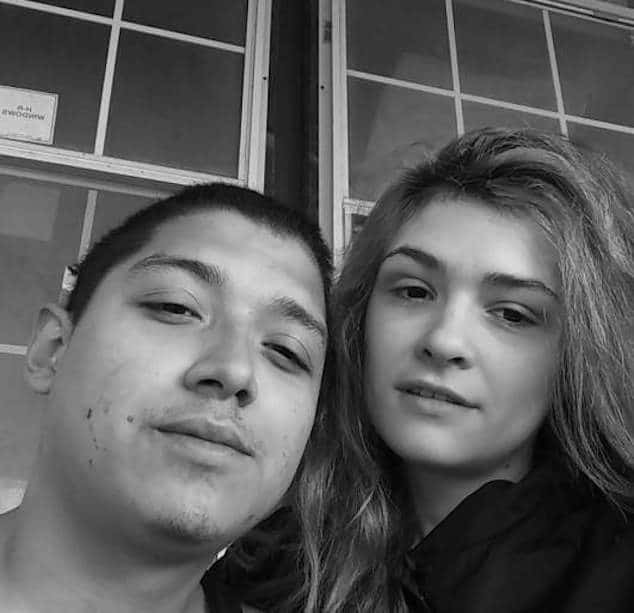 Andrew Fabila & Paige Harkings: Pictured on Isabow Harkins Facebook page.